With the showing season well underway, you may be finding that your horse isn’t quite performing to his best ability in the ring. When it comes to producing HOYS champions, top show rider, producer and judge Loraine Homer certainly knows how to train show horses and so who better to show Equitrader readers how its done? Courtesy of her sponsor Aloeride, the natural organic aloe vera equine feed supplement, we find out a bit about the work that goes on behind the scenes and pick up some useful tips. “ Producing a horse for the show ring takes time and anyone who thinks you can just buy a nice young horse and take it out, without putting some work is heading for trouble! You can have the most beautiful horse, but if he doesn’t go nicely under saddle or for the judges, then they will never win. For this feature I am riding a four year old. He hadn’t done a huge amount at the time of this shoot, so gives you a good idea of the work we have to put into the horses in order to produce them into champions. 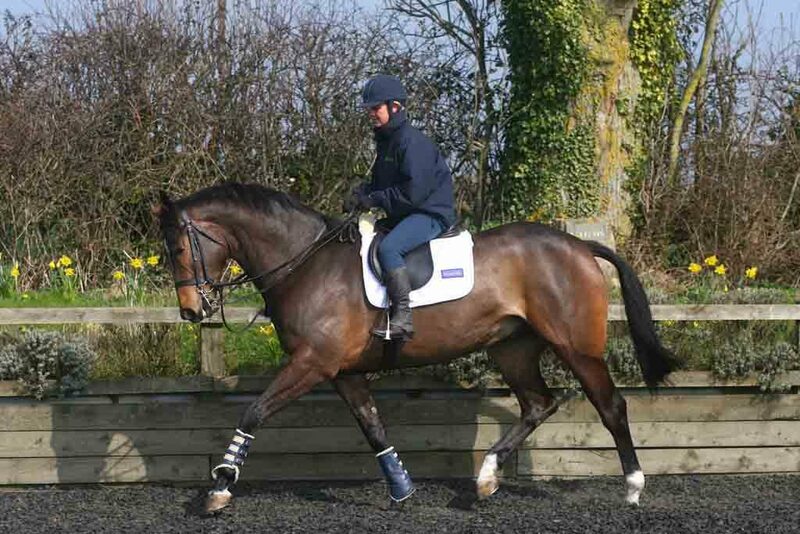 Personally I love producing the horses from this age, as you really get to know them and as anyone who has the experience of bringing a horse on of any age – you ride the highs with the lows too! The first hurdle that we encounter, are the new banners all around the school, the photography/video equipment and lots of people in his arena. I generally find the horses far more spooky with strange sights at home, than when they experience them at shows, however setting up a ‘show environment’ is a good idea for very green or spooky horses. If you can introduce banners along the fence lines, friends in chairs along the side of the arena, making noise – this can really help prepare your horse for show days, when he will encounter this and much more! I let my youngster walk around the arena on a loose rein. 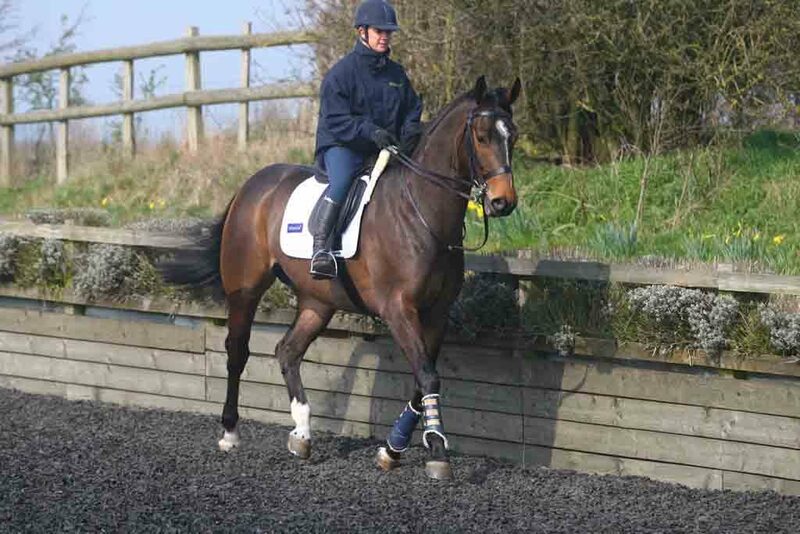 All my babies are ridden both in snaffles and doubles, however putting a baby horse or any horse in a double bridle does require careful measures and therefore if you are not sure you can try a rugby pelham first. After he has had a good look around, I then take him up into a forward active trot; don’t worry too much about an outline at this stage. Encourage the horse forward. This is particularly important for a show horse, as no judge likes to have to kick a horse around the ring, so you should train your horse to be responsive and off the leg. Always allow your horse to settle before asking more of him or her. You have to play it by ear, and because my baby horse is quite excited I do lots of trot work on both reins and canter allowing him to have his head. Once he has settled a bit more and had a good look at the strange banners around the school, I can then concentrate on asking a little more of him. 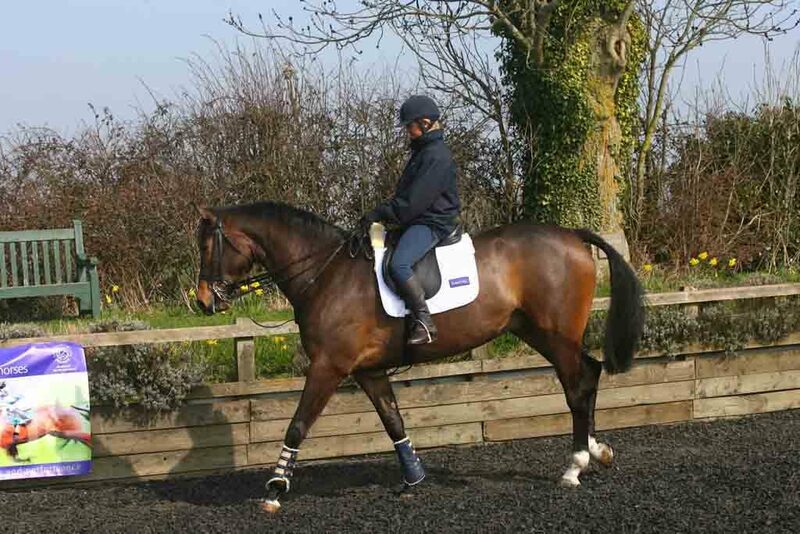 I like my horses to have a nice length of rein, so its important to think of them coming up from behind and out in front, with a nice stretch. Don’t expect your horse to go in a dressage frame, as judges like the horses to have a more natural outline and the contact must be light. I work a lot on straightness with all the horses and really use my corners to collect up and then push on down the long sides. Changes of rein are important as you are always asked to change the rein in the ring in front of the judge so practice this at home. 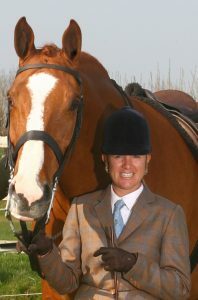 Make sure you keep your schooling sessions, short and sweet, however with any horse variety is the key, so make sure you keep your youngster’s schooling sessions interesting and remember for show horses going well on grass is imperative, so make sure you school him or her at home in a field to get him or her used to grass under feet! Teaching your horse to stand still with pricked ears for the conformation judge and also the trot up is key. We practice the trot up along a fence line to help keep them straight and when it comes to standing them up for the judges, we ensure that they are used to standing up slightly off so all four limbs are on display. The judge will want to see an alert horse, so keep his interest with polos or a handful of grass to keep his or her ears pricked. Finally, manners are imperative in any show horse, so make sure that your horse will stand still in a line up of horses, stands still when you are mounting and more importantly that your horse is used to different riders. The show ring is not the place for schooling, so do your homework and hopefully you will see an improvement in your final placings – best of luck!